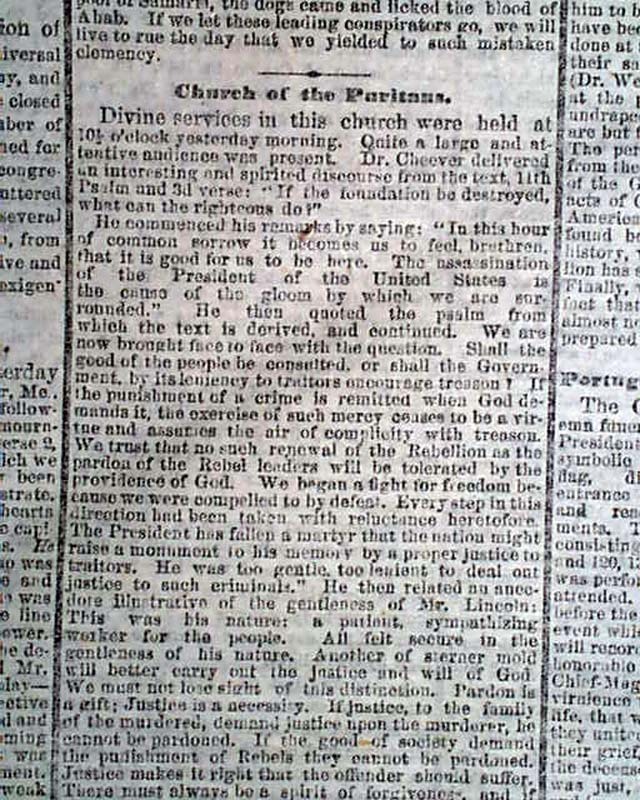 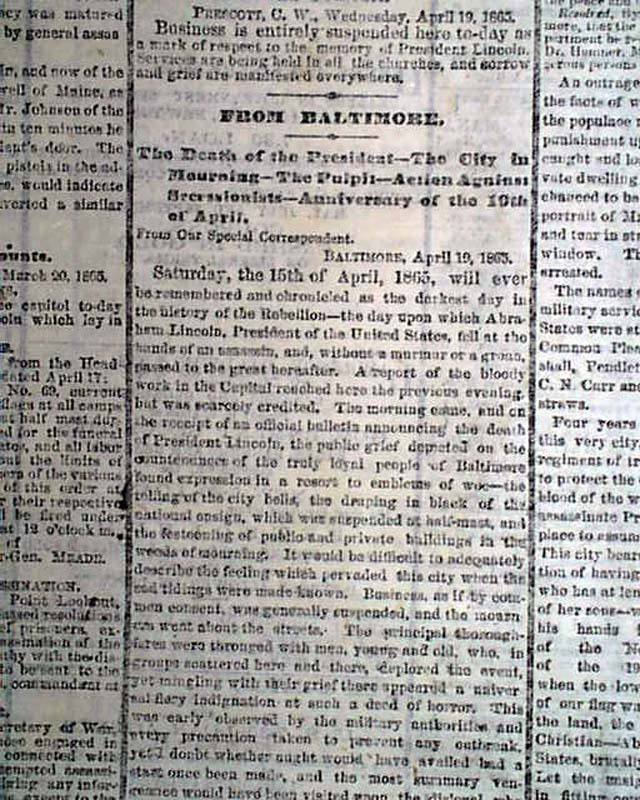 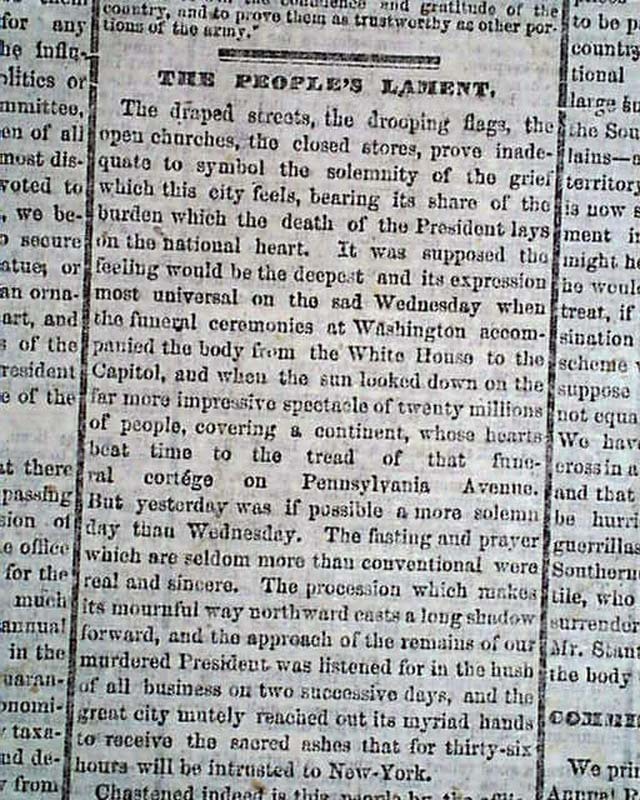 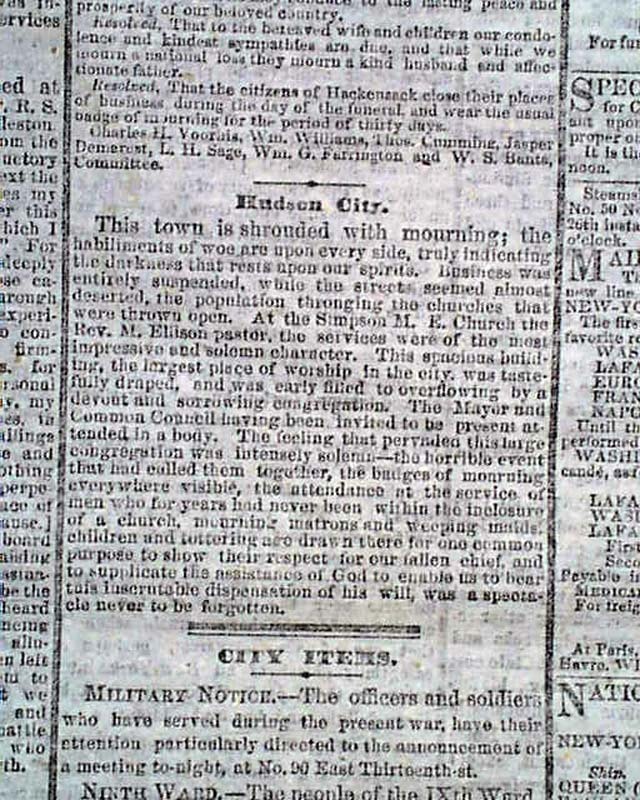 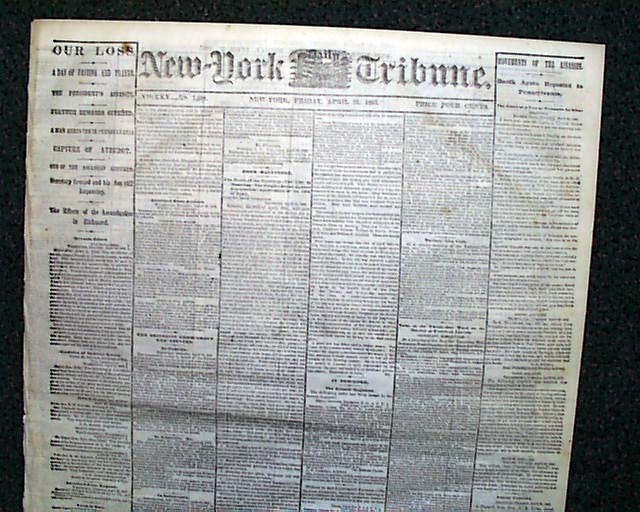 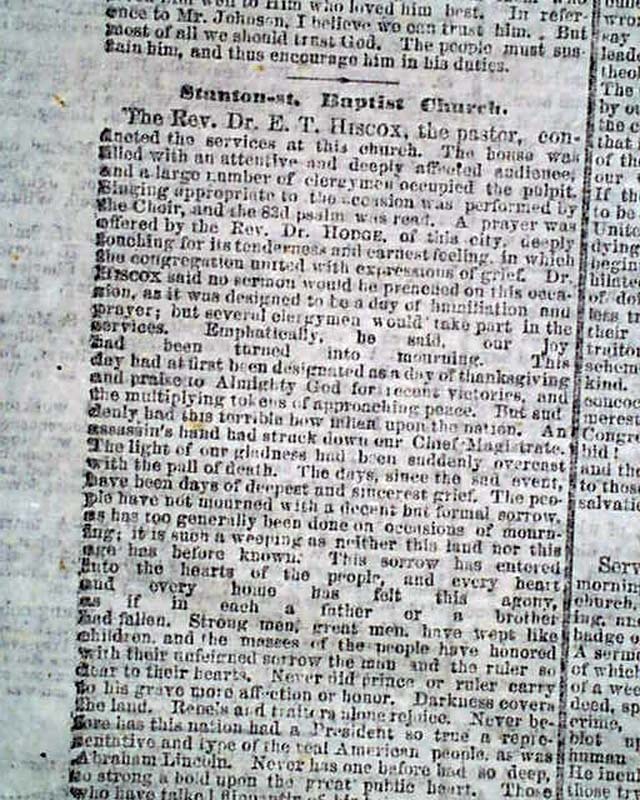 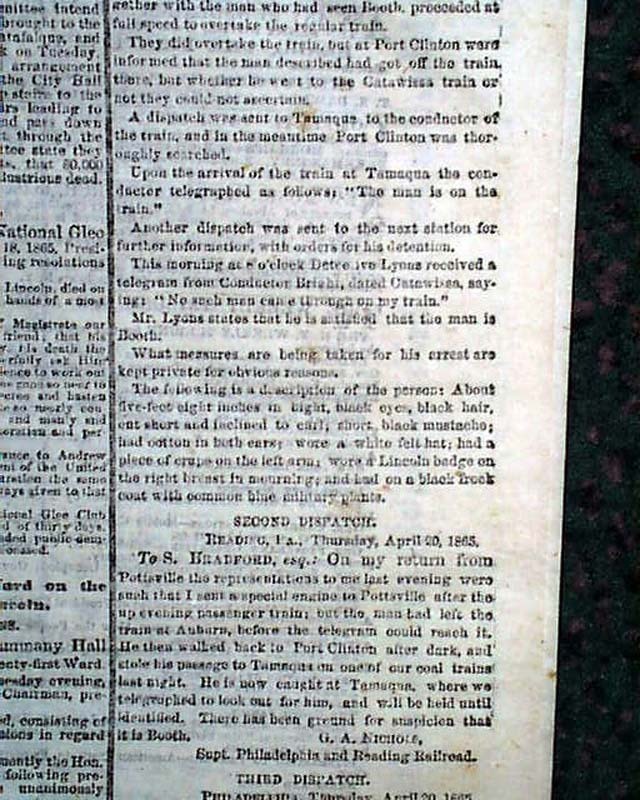 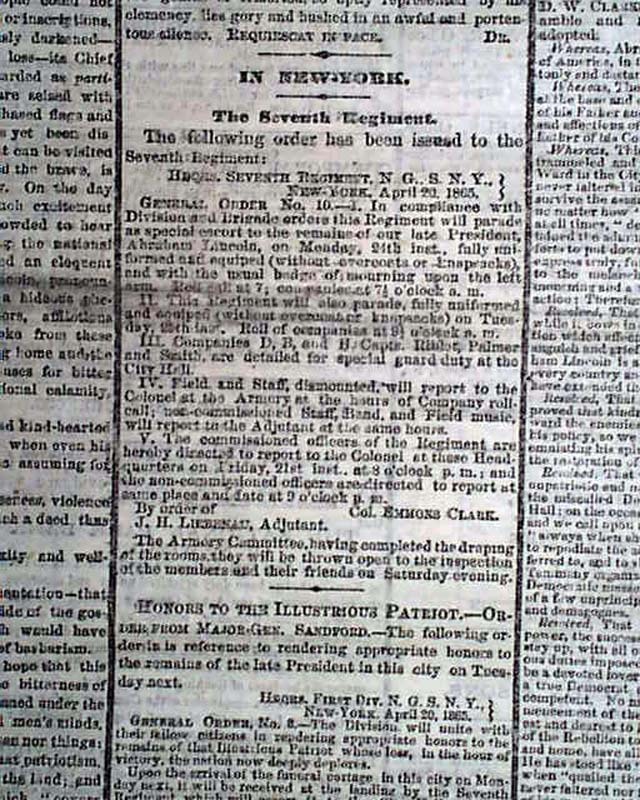 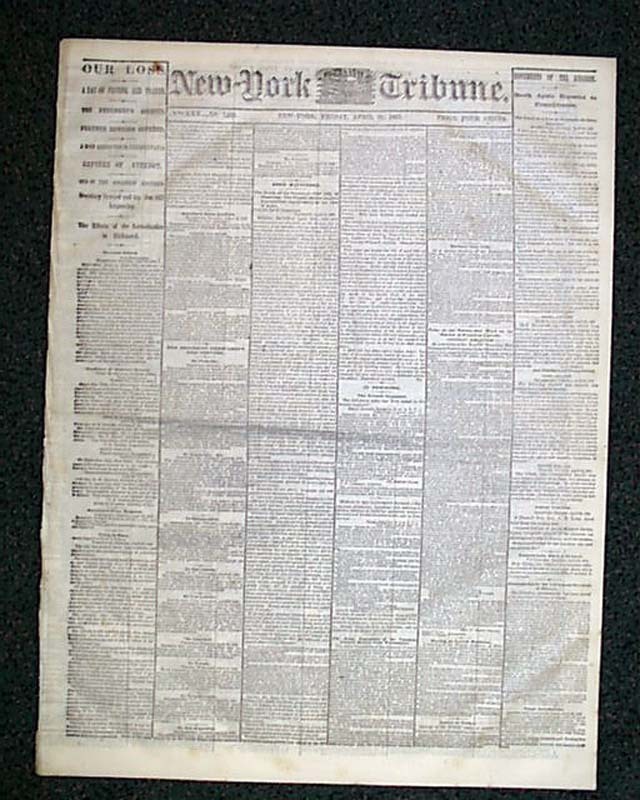 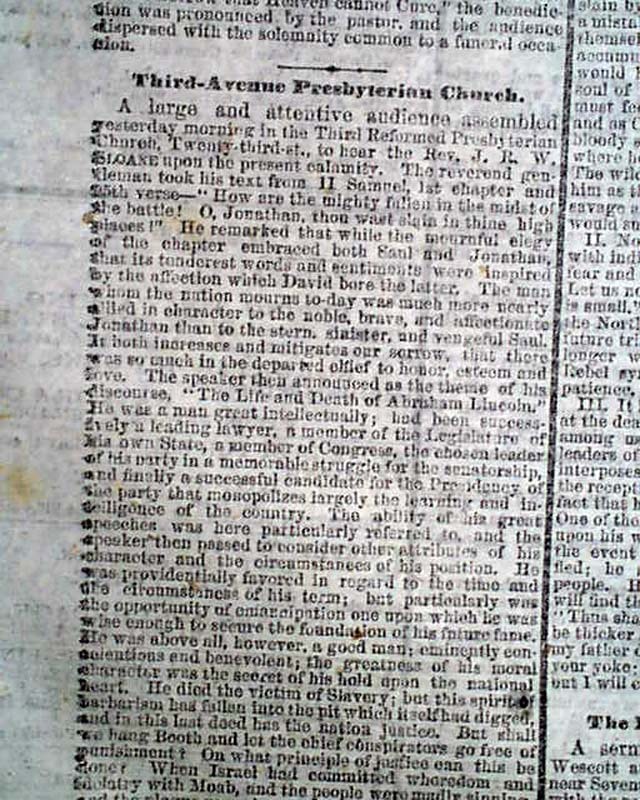 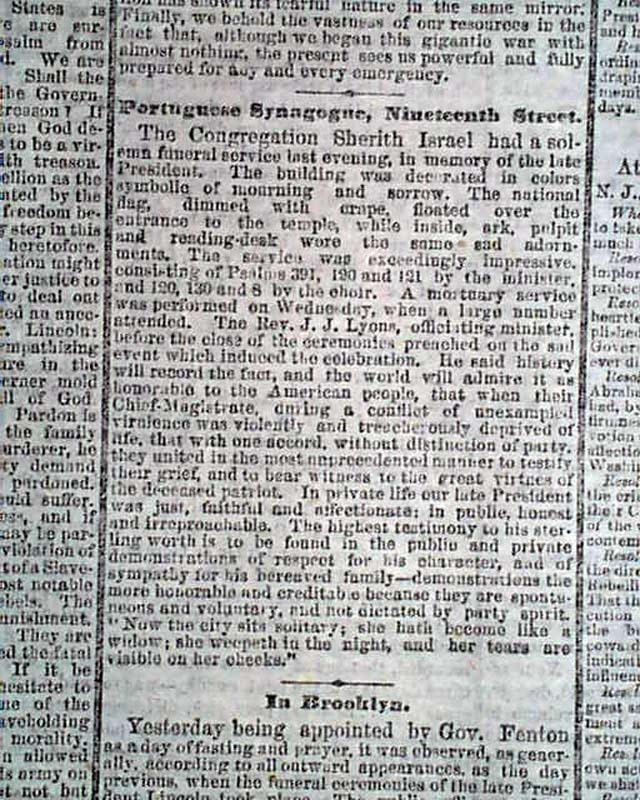 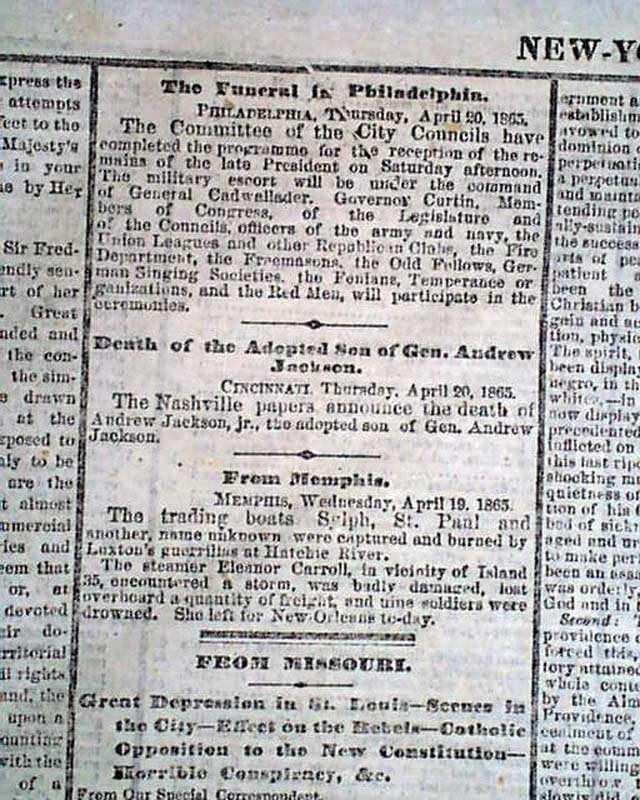 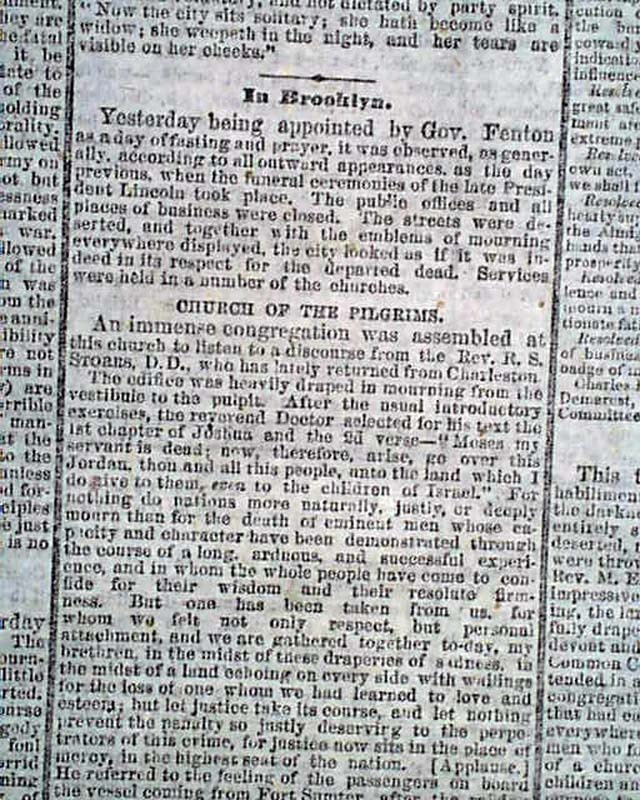 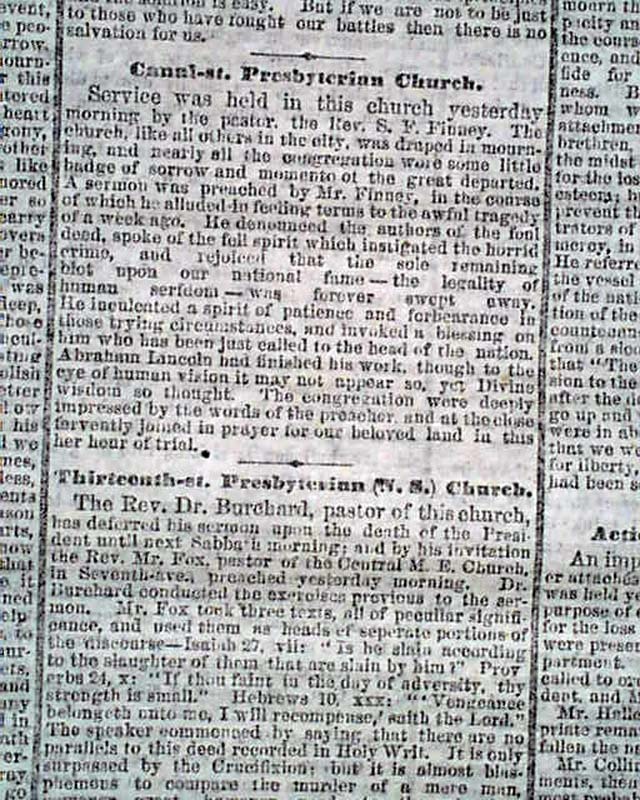 NEW YORK TRIBUNE, April 21, 1865 Although somewhat inconspicuous, perhaps the most notable item within this black bordered issue is the mention of the mourning services held at The Congregation Sherith Israel [Shearith Israel] on behalf of the late President. 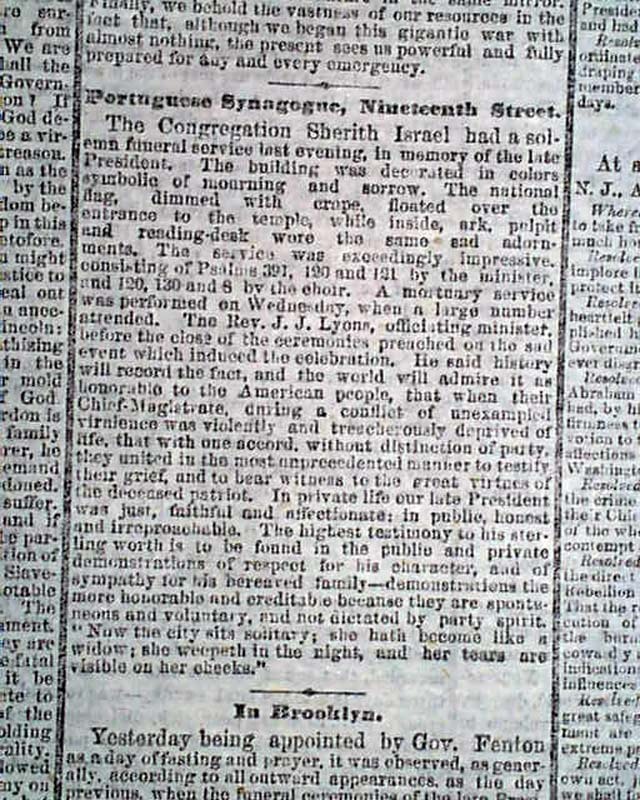 Synagogues did not often receive the same coverage as other places of worship, and the fact that the Congregation Shearith Israel (often called The Spanish and Portuguese Synagogue) was the oldest Jewish congregation in the United States only makes its mention all the more noteworthy. 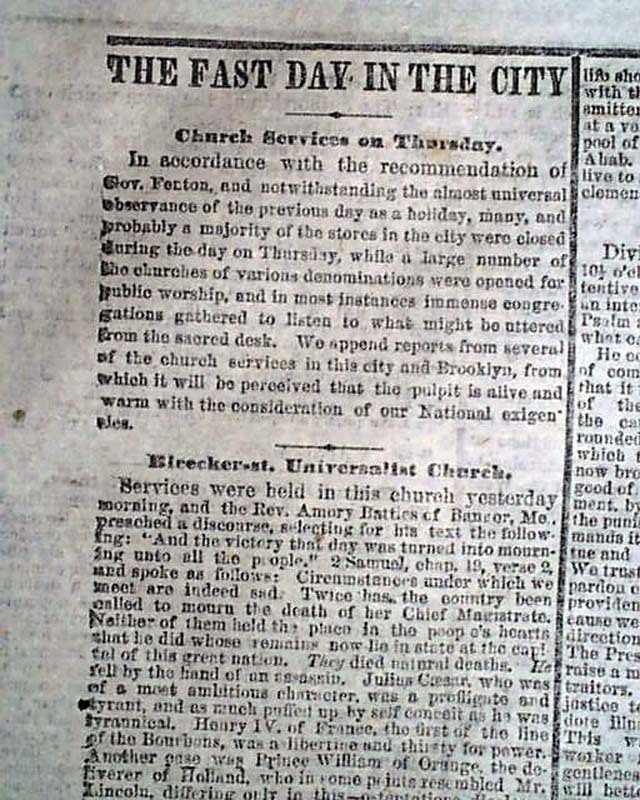 Details regarding the various services held throughout the city are also included (see images for details). 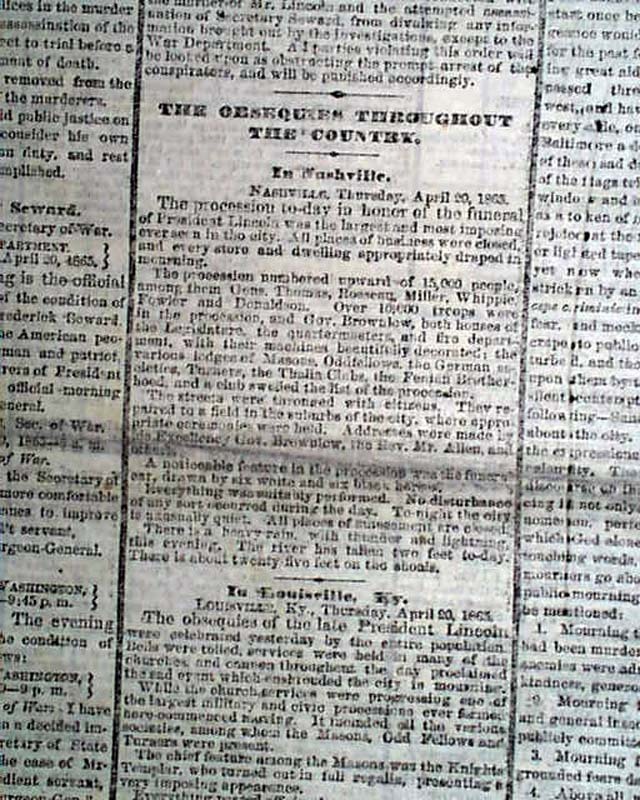 Additional significant content includes the ftpg. 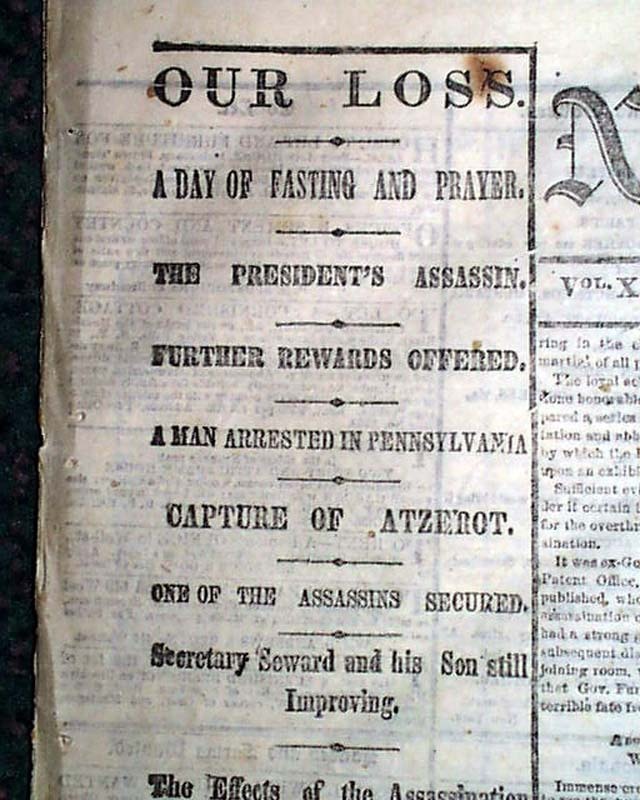 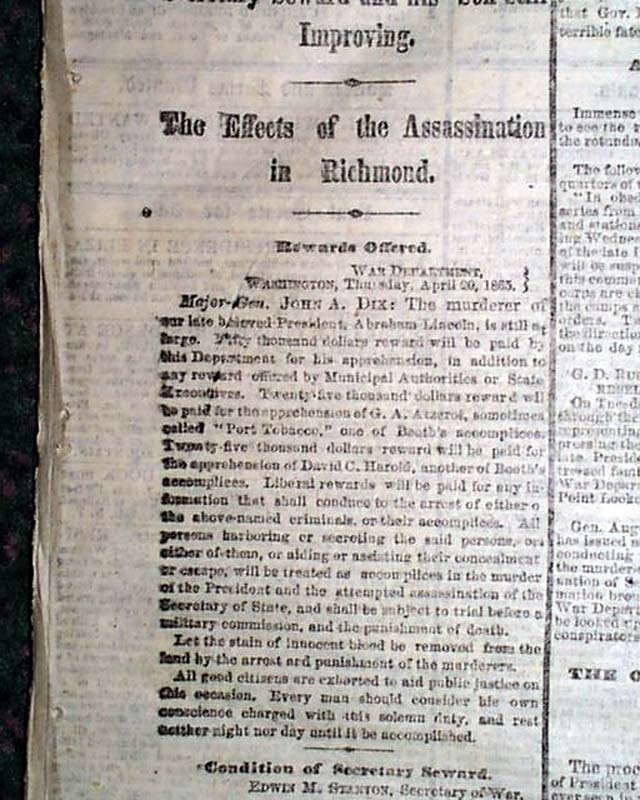 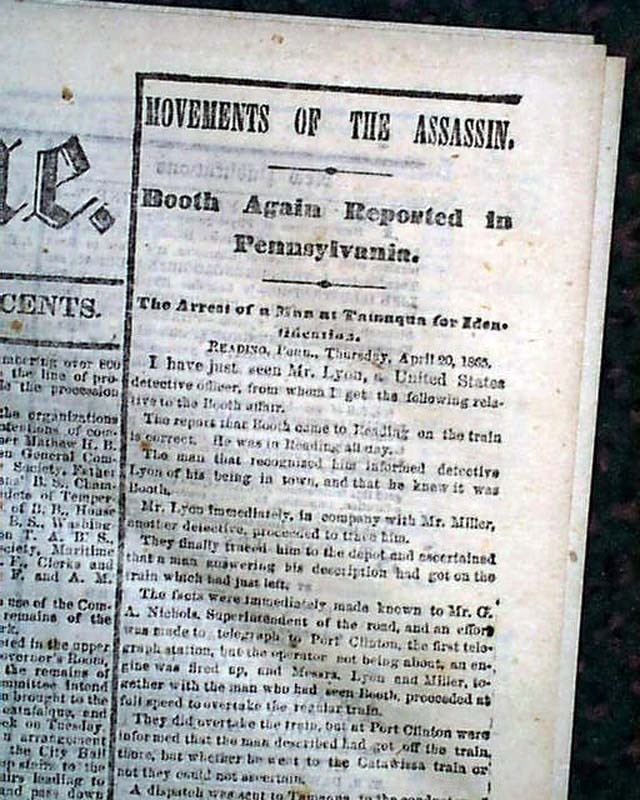 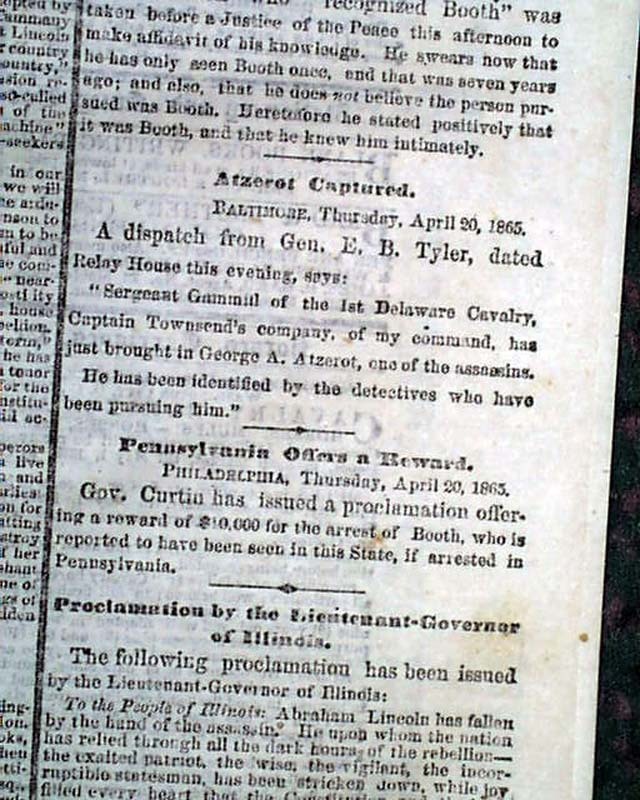 one column heads: "OUR LOSS" "The President's Assassin" "Further Rewards Offered" "Capture of Atzerot" "One of the Assassins Secured" "The Effects of the Assassination in Richmond" "Movements Of The Assassin" "Booth Again Reported in Penna." 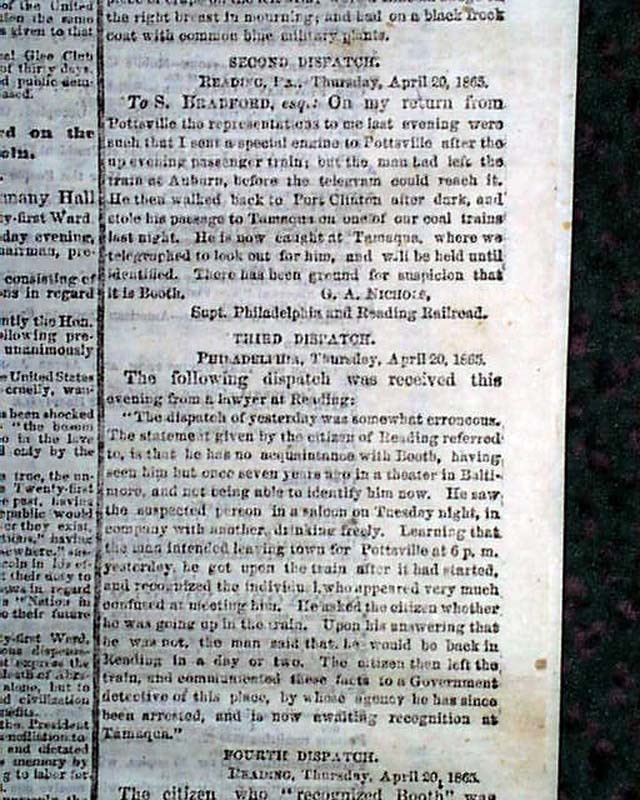 and more, with further reports on the inside pages as well. 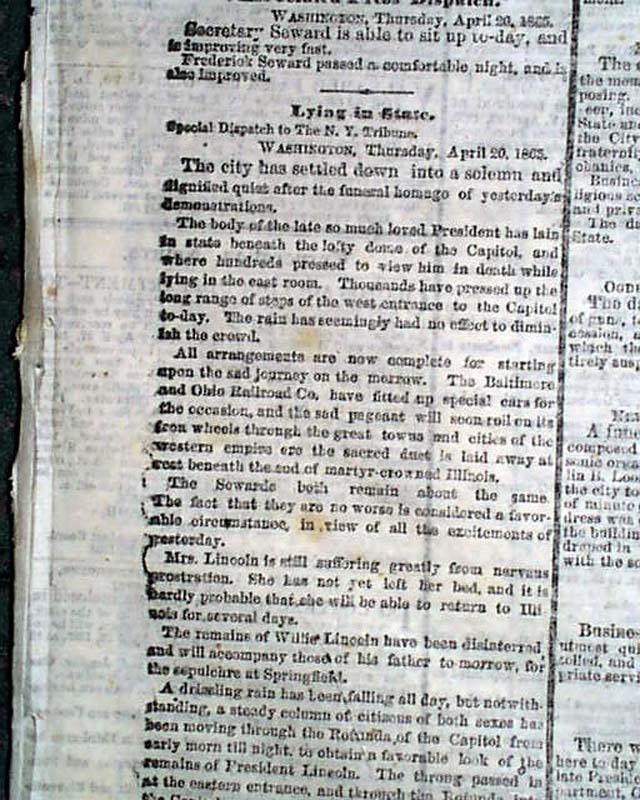 Eight pages, all columns black-bordered with mourning rules, some foxing and minor creasing, but in overall good condition.